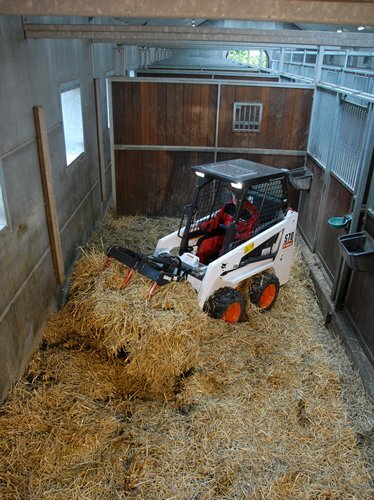 More than 20 attachments turn this mini loader into a versatile model. Get even more with the Deluxe heated cab and the narrow or heavy duty tires available as factory options. 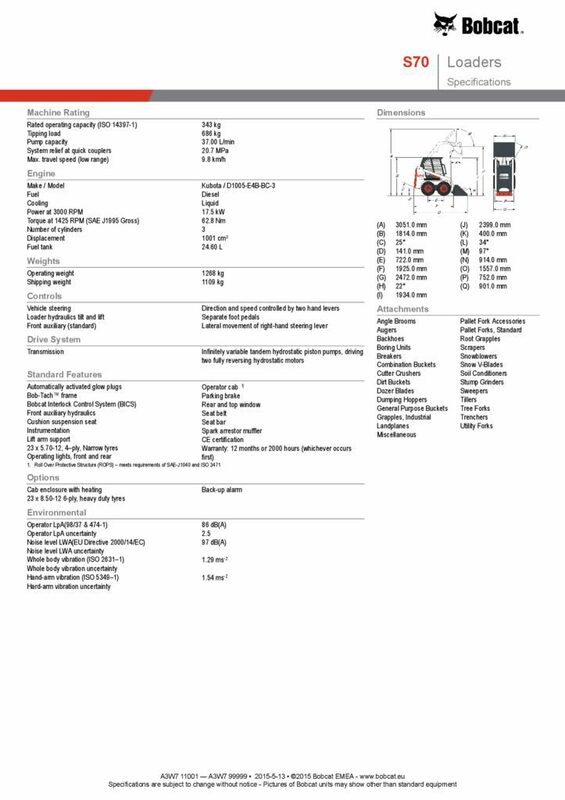 Looking for more information about the S70? 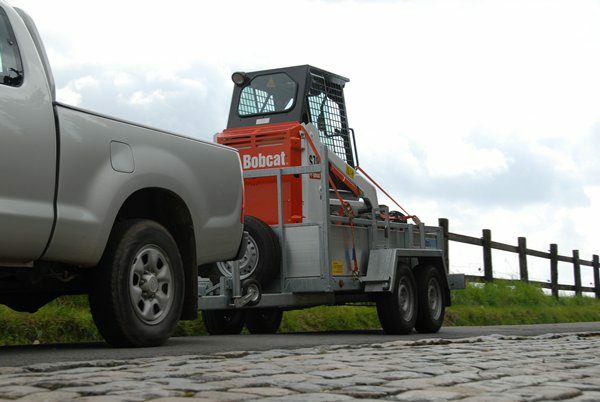 Get in touch with your local Bobcat dealer. Quickly find the closest Bobcat dealer thanks to our dealer locator. 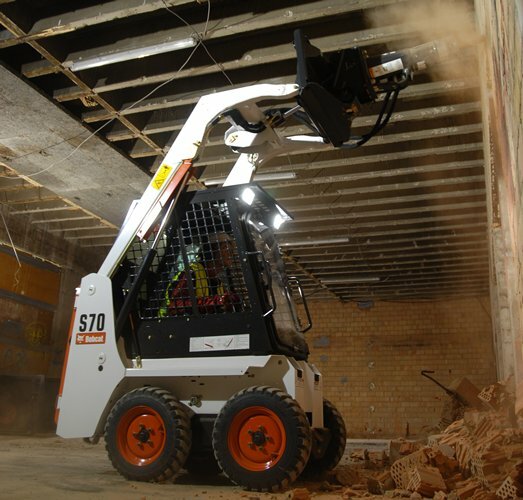 The S70 is 901 mm wide, 1814 mm high and 2553 mm long with a 36”/91 cm General purpose bucket attached. 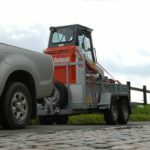 An operating weight of 1268 kg allows easy transport on a trailer behind a medium sized car. 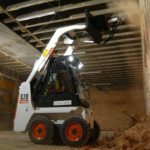 Stronger pump-mount casting and new engine mounts will contribute to a more durable machine. A newly designed belt drive with automatic tensioner. 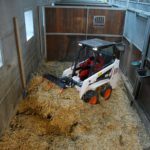 Though this engine class is not yet required according to European Regulations, Bobcat has taken the lead to install a cleaner D1005 Kubota engine that reduces the Particulate Matter emissions (PM) by 50% versus the previous generation. 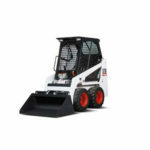 Bobcat provides additional safety by means of the auxiliary interlocks. The operator must press “push to operate” to activate the auxiliary hydraulics. If the seat-bar is raised and lowered again, the “push to operate” button must be pressed again in order to activate. The S70 is equipped with an improved instrument panel providing additional functionalities and diagnostic capabilities as the remote starting of machine with service tool. No chain or tensioning adjustment needed.